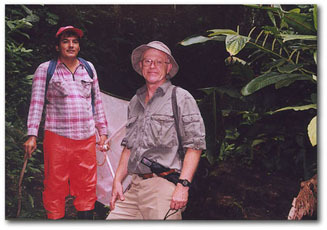 This was our third research/collecting trip for the project entitled "A Faunistic Survey of the Dynastine Scarab Beetles of Honduras, Nicaragua, and El Salvador" (NSF/BS & I DEB 9870202). 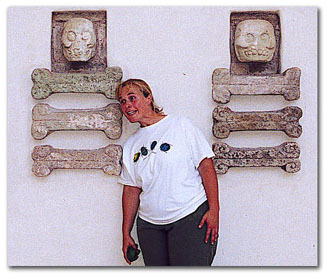 Brett Ratcliffe (PI) and Mary Liz Jameson collaborated with Ron Cave (co-PI in Honduras) and Roberto Cordero (Field Assistant) to identify and curate collections at the Escuela Agrícola Panamericana in Zamorano (Honduras) as well as the Museo de Historia Natural in San Salvador, El Salvador (Eunice Echeverría and Flor Urrutia) and the Museo Entomológico in León, Nicaragua (Jean-Michel Maes). 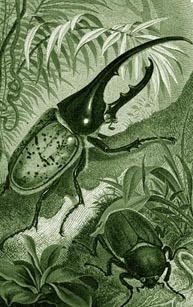 Collecting was conducted in all three countries, and a total of 54 scarabaeoid genera were taken. All photos by Mary Liz Jameson except where noted. 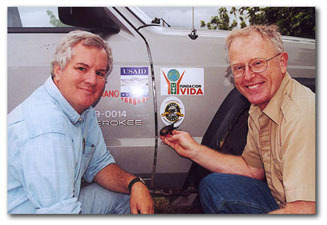 Ron Cave (left) and Brett Ratcliffe with Team Scarab decal (and its inspiration) on Ron´s field vehicle at Zamorano, Honduras. 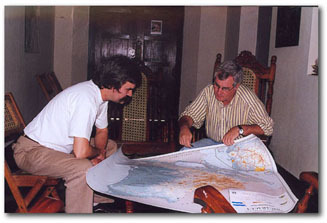 Jean-Michel Maes (our Nicaraguan collaborator) and Ron Cave discussing Nicaraguan collecting localities for the project. 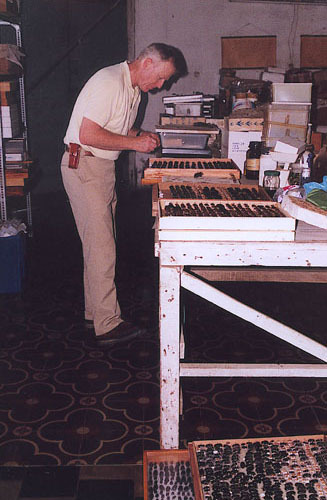 Brett Ratcliffe identifying and curating dynastines in Jean-Michel´s lab. 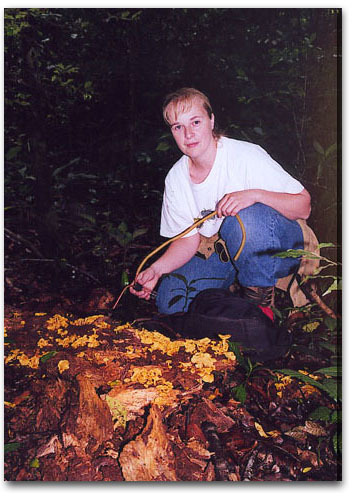 Mary Liz Jameson collecting from litter and logs at Selva Negra near Matagalpa, Nicaragua. Photo by Brett Ratcliffe. 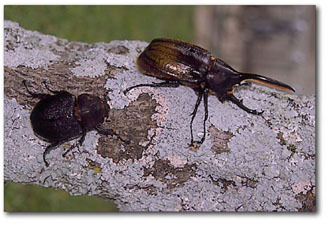 Dynastes hercules, male and female, collected at lights at Selva Negra, Nicaragua. Roberto Cordero (left) and Brett Ratcliffe collecting at Selva Negra, Nicaragua. 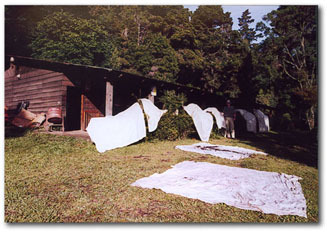 Drying the light trap sheets after a wet night at the headquarters building at Parque Nacional Los Andes in El Salvador. 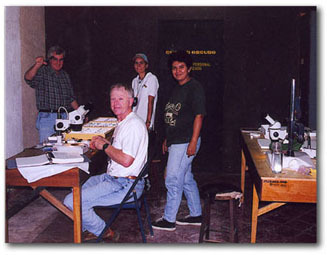 From the left, Ron Cave, Brett Ratcliffe, Flor Urrutia, and Eunice Echeverria in the collection room at the Museo de Historia Natural in San Salvador. 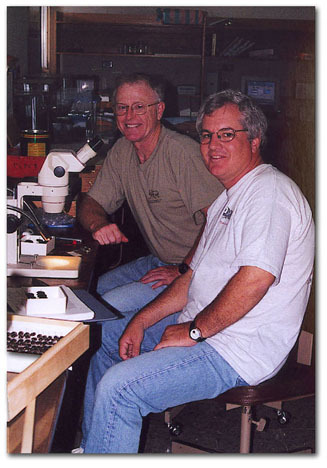 Co-PIs Brett Ratcliffe and Ron Cave in the collection room at EAP in Zamorano. 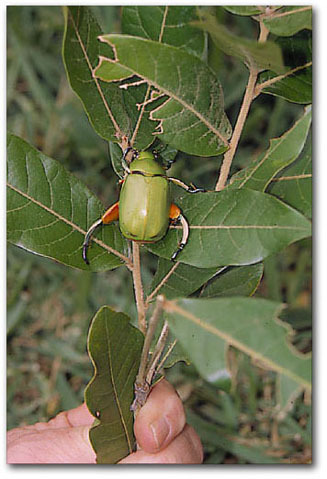 Chrysina cavei from Honduras, named in honor of Ron by Hawks and Bruyea. Dr. Jameson and doggie biscuits at the Mayan ruins of Copan, Honduras. Photo by Brett Ratcliffe. If we allow for some UV vision in scarabs, then this may be one of the last things they see before being collected and immortalized in a research collection. Approximately 57,000 specimens of Dyscinetus dubius (Olivier) (=10 gallons!!) 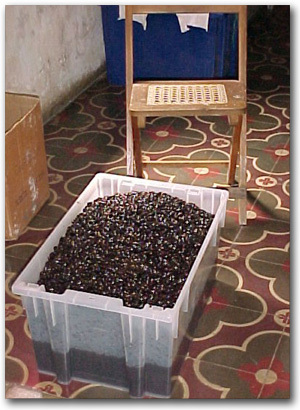 collected by assistants to Jean-Michel Maes in Nicaragua. 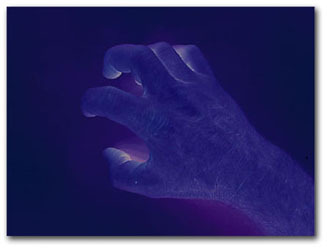 Photo by Jean-Michel Maes, June 2001.